Landlords will be able to offer their properties to the homeless to be used as temporary accommodation under a new Peterborough City Council scheme. The initiative will be one of three which the council will roll out after receiving new government funding for the next three years. The council will share £481,200 between now and 2018/19 with other authorities in Cambridgeshire after they made a joint funding bid to the Government. 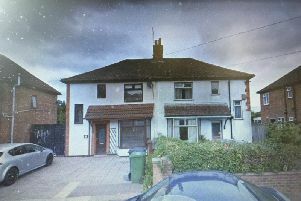 Chief Inspector Rob Hill, head of the SaferPeterborough Prevention and Enforcement Service, said the three schemes “includes an initiative which allows landlords to let their property through a council-run service - properties which will subsequently be used to accommodate homeless households. “Other schemes include the creation of the private landlord liaison service which would act as a mediator to prevent a landlord from taking eviction action against a tenant.